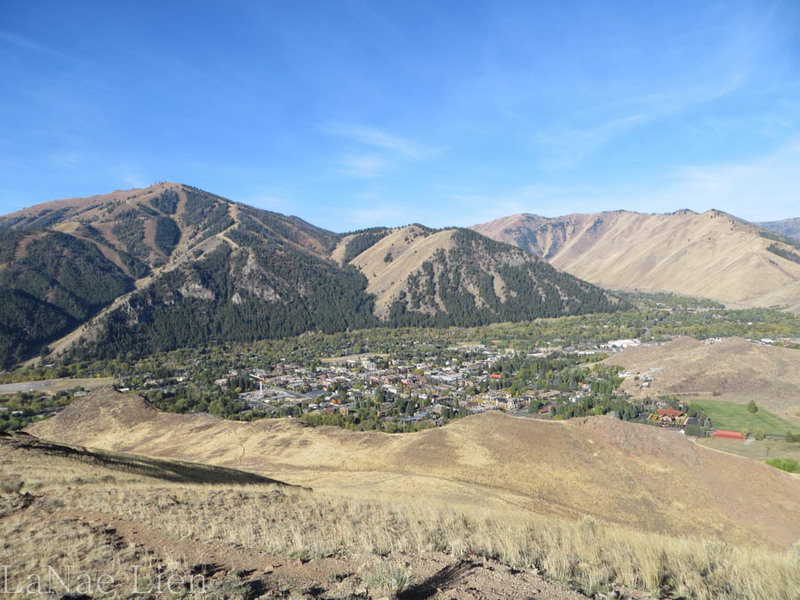 On our last morning in Sun Valley we decided to take a little hike up Dollar Mountain, one of the ski hills in town. Or just on the edge of town. Or something. 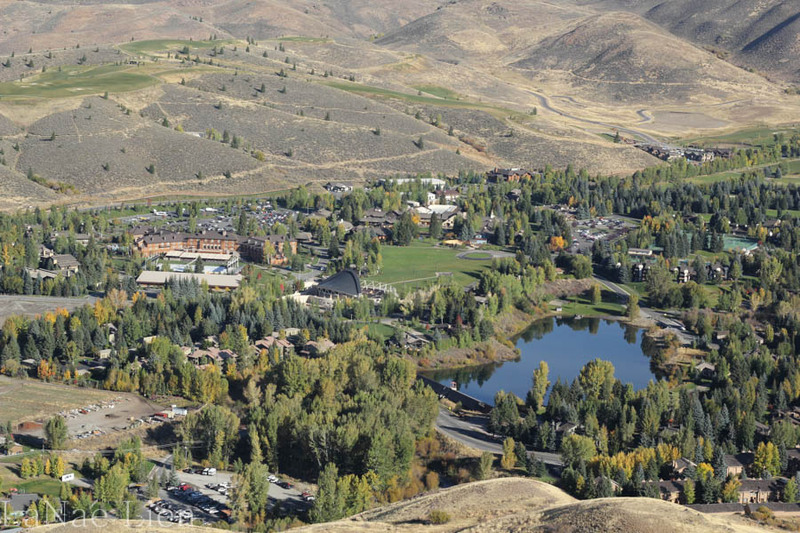 The Dollar Mountain lodge was, quite literally, a three minute walk from our condo. It was a beautiful, sunny morning. The round trip was a little less than three miles. The gain was, I think, about 800 feet. 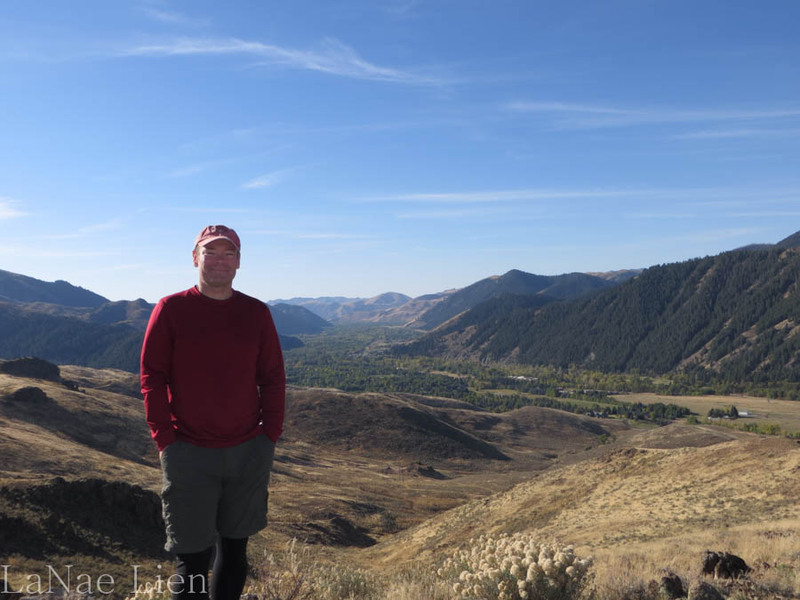 But, when you (meaning the husband) have clots in your lungs and are starting at 6000 feet…well…it can be a bit of a challenge. He was a trooper, though, and did well. The trail up was well-traveled and easy-to-follow. Rocky in places, steep in others, rocky and steep in others. 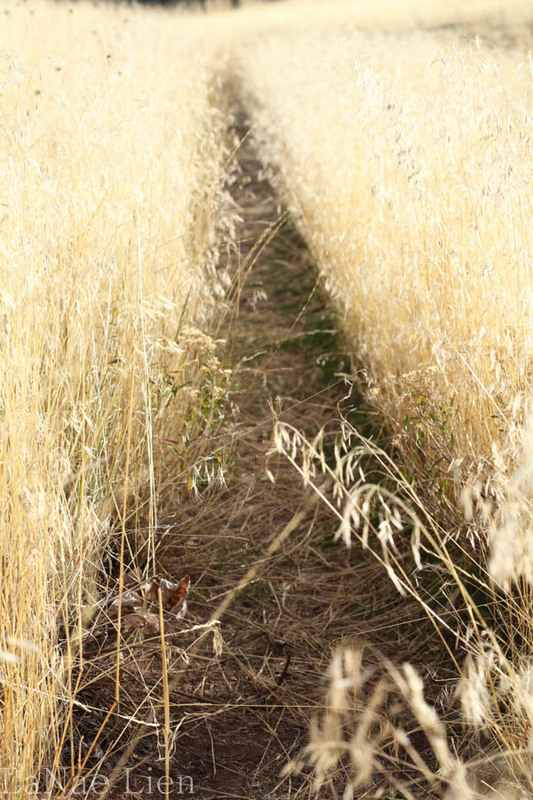 Tall grasses waved gently in the occasional breeze. It had been a great week, and a much needed vacation. Slower, perhaps, than our usual vacation speed. But, it was actually nice to have some lazy mornings and some lazy afternoons. I powered through a book and a half while we were there. We ate good food, drank good drink. I visited new places, the husband got to take some walks down memory lane. 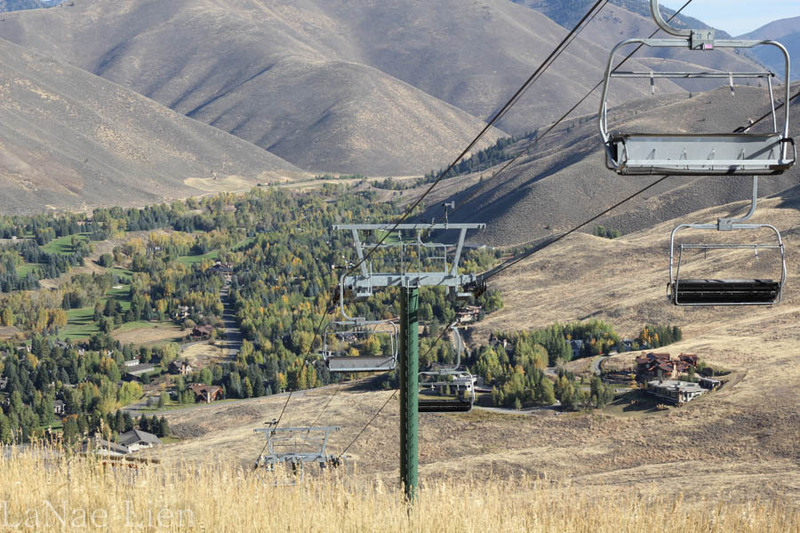 Similar view, but this one panned out so you can see the beautiful hills surrounding the valley. Is this the time I share my favorite part of the vacation? Isn’t that what kids have to do when they get back to school in the fall? “Write an essay telling about your favorite summer vacation memory.” Honestly, I think my favorite moment was the evening we went to The Pioneer Saloon for dinner. To say it was a leisurely meal is putting it mildly. I would hazard a guess that we were there for a couple of hours. The food was scrumptious and we enjoyed some really good conversation. Sometimes it’s just better than others, right? And this was one of those times. 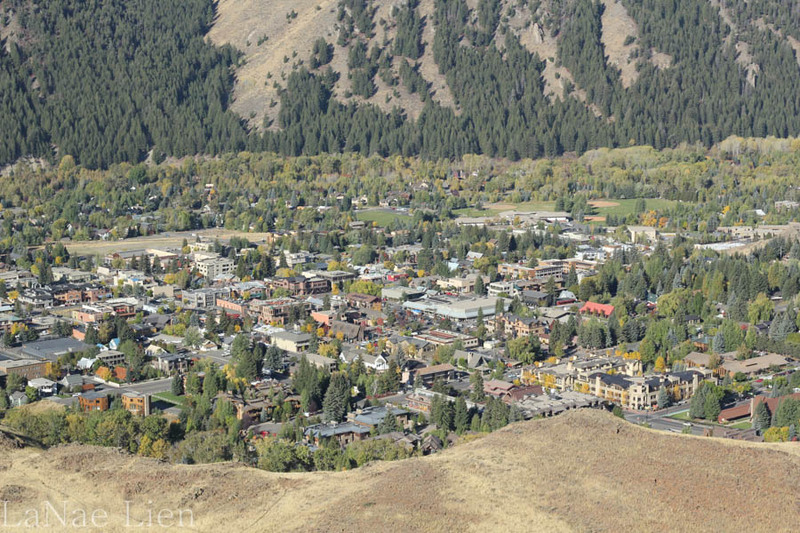 Panned out view of Ketchum. My favorite place was definitely the Sawtooth valley. I’ve said it before, I’ll say it again, and I’ll say it again in a few days: it is God’s country. To think about the views we saw that day just makes me want to close my eyes in an attempt to immerse myself in the memory. Stunning. Simply stunning. 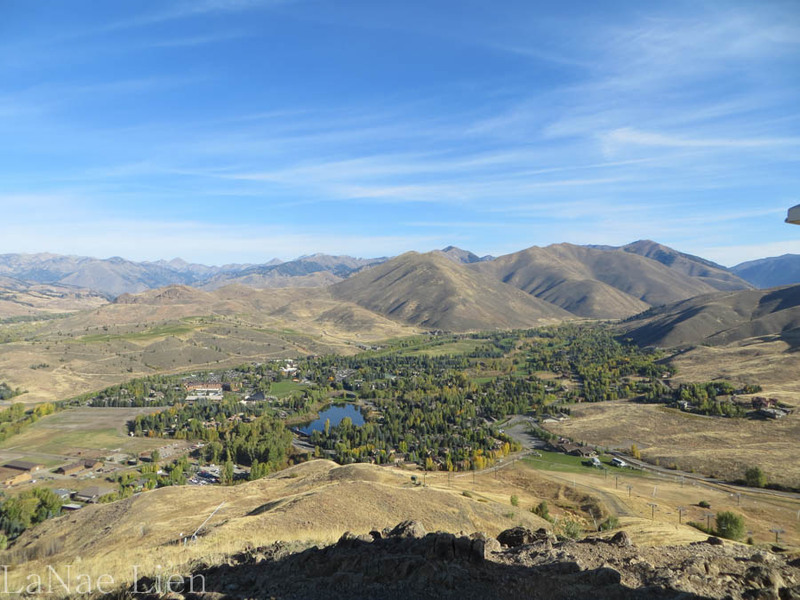 In summary: is a trip to Southern Idaho on the top of most travel lists? I suspect not. But, maybe it should be. One of the things that I appreciate about the husband and I is our ability to find beauty in the outdoors. Even in the dry, flat desert that spreads between Sun Valley and Jerome there is beauty. I think that’s part of why we enjoy each and every vacation we go on. It’s all beautiful…in its unique way. 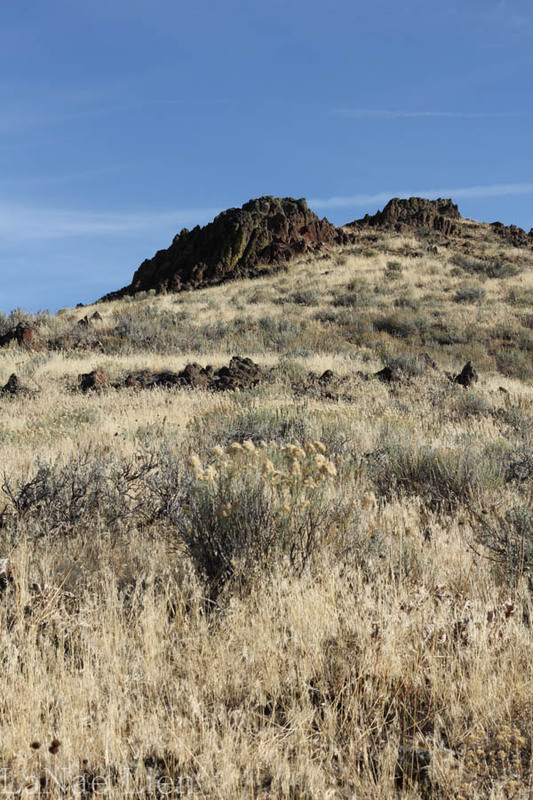 Beautiful shots, Lanae, I love the soft golds of the hillsides and mountains. Looks a lot like northern California foothills this time of year! It does! The hills toward the coast always look gold velvet!